832 S. 116th St, Seattle, WA 98168. Daddogg Lawn Care believes in a healthy balance of work - personal - family life. We also believe strongly in community and the opportunity to give back and provide fun and enjoyment. 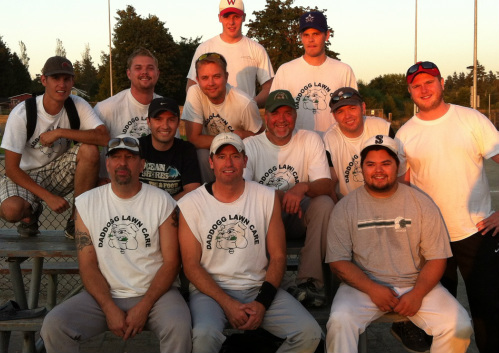 Meet the Daddogg Lawn Care Slow-Pitch Men's Softball Teams! 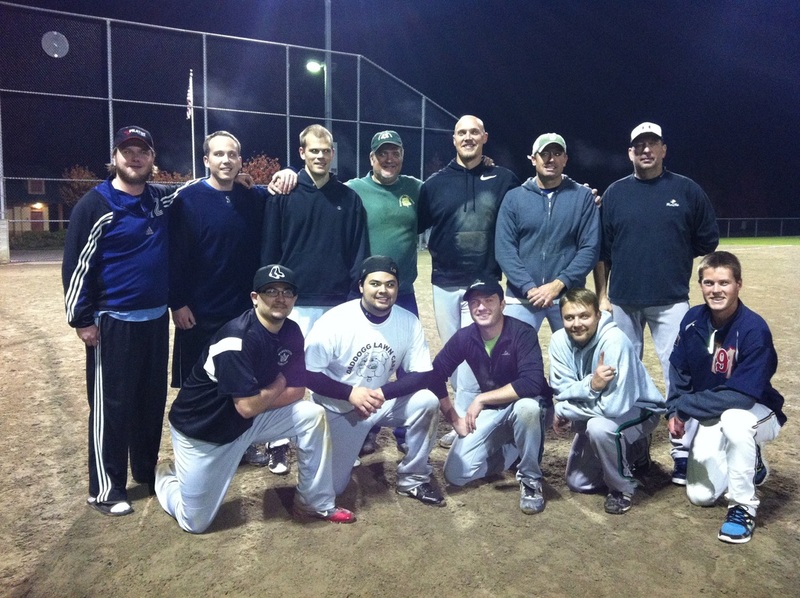 2014 - Kent, WA Fall Ball Mens Slowpitch Sofball Team. 1st place winner of the league and 2nd place in the Fall All Mens League Tournament! CONGRATULATIONS! 2014 City of Des Moines Men's Slow-pitch Softball Champions!